The Canadiens have sunk like a stone, going from a historically good first month of the season to well out of the playoff picture, and with Carey Price reportedly likely done for the year with an MCL injury, there’s no reason to think they’re going to turn things around. So it’s about that time of year for things to get dysfunctional. With a little more than two minutes remaining in Colorado, with the score locked at two, P.K. Subban took the puck along inside the blue line, trying to outskate Mikhail Grigorenko’s pressure. He never quite did, losing the puck, falling down, and only being able to watch as an Avalanche odd-man rush led to Jarome Iginla’s second goal of the game, which would stand up as a winner. 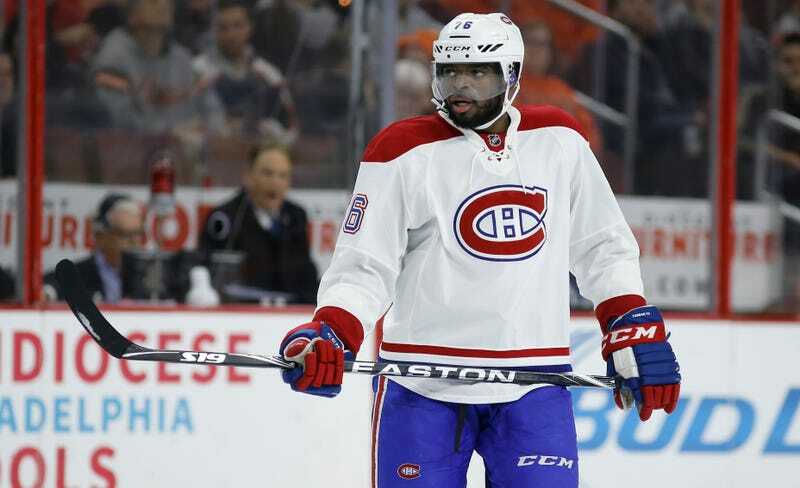 Subban said he lost an edge; Therrien was less forgiving. That’s surprisingly harsh from a coach, to so clearly put a team loss onto one individual screw-up, but Subban wasn’t having a good game. He finished minus-1 and didn’t record a shot on net. But Therrien did more than just criticize Subban: he kept him on the bench for the remainder of the game, even though Montreal desperately needed a goal and Subban is the Habs’ leading scorer. The Canadiens are a mess, though it’s not quite clear if it’s one of those situations that was previously smoothed over by winning, or if it’s something that’s only borne of this trying season. But from all kinds of reports, the players in that dressing room aren’t getting along particularly well, and are at odds with their coach.